Rudy Van Gelder: Recording Coltrane, Miles, Monk, etc. | Tape Op Magazine | Longform candid interviews with music producers and audio engineers covering mixing, mastering, recording and music production. 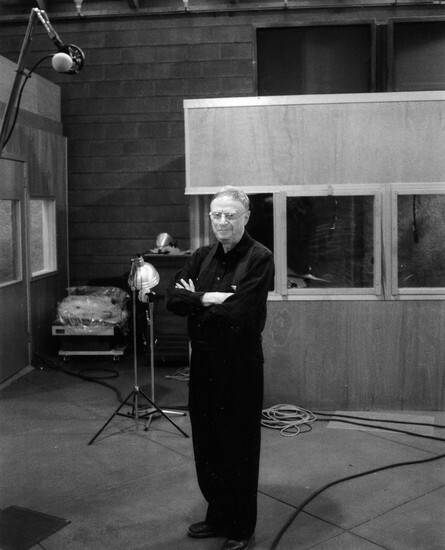 Rudy Van Gelder: Recording Coltrane, Miles, Monk, etc. 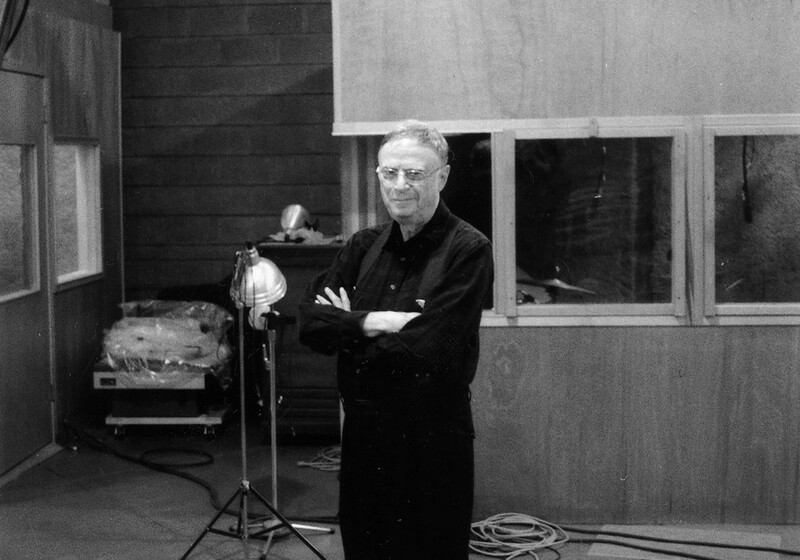 Rudy Van Gelder's legend looms large, yet he has avoided most interviews throughout his 50-plus years in the recording biz. He has never discussed his techniques, and even in the following interview he didn't divulge details. Van Gelder is best known for the LPs he recorded in the '50s and '60s for the Blue Note and Prestige jazz labels. In his youth he built a recording studio in his parent's house where he recorded Miles Davis and many others. Having outgrown the first home studio, he built his own recording studio/complex/home in Englewood Cliffs, New Jersey, which remains. The scope of Van Gelder's work is unknown, but it's a foundation for the maps, legends and history of the music of John Coltrane, Dizzy Gillespie, Herbie Hancock, Wayne Shorter and others. Van Gelder's work is both intimate and mind blowing, and he might be the greatest recording engineer in jazz history. How did the idea arise that you wanted to record music? It wasn't planned, it just happened. I was interested in music, but parallel to that when I was a young teenager I was also interested in ham radio. The technical part of that is building transmitters, receivers and audio amplifiers. It was my interest in music, as well as the technical aspects of radio, which brought me to sound recording. So fooling around with ham radios led right to recording? Exactly. I used to go to downtown New York and buy gear. Used to build things myself... mixers, amplifiers and so forth. Actually the first mixer I used for recording I built myself. Did you go down to Chinatown and pick up parts there? Cortlandt Street, not Chinatown. What was not available were complete audio recording consoles. What you had to do in that time — and I was not the only one from what I heard — you had to modify radio consoles. Consoles were manufactured for radio broadcast use, and you had to modify them to record music. There was no such thing as a console manufacturer as you know it today. As an overview, for a mixer you had to exactly think of what your needs were even from day one. So that's during high school? Wow. So when you built that did you just use a regular reel-to-reel that was available at the time? When I started recording it was just before the advent of tape. So my first recordings as a hobbyist were done on disc. Acetate, exactly. You would buy your discs. And the machine I had at that time was called a Presto disc recorder. I would go down to Cortlandt Street, New York, to buy components to build a mixer to feed that. That was my first recording console. You wouldn't call it a console. Were you recording musicians from high school? Did you play an instrument yourself? Early on in high school, not too far from the time I got interested in recording, I played trumpet in the high school band. It was terrible, really. [laughing] I learned quick enough to record rather than to play music. You were in the big band in the high school? No, no, the marching band. I ended up taking tickets at the football games instead of playing in the band. The teachers had to give me something to do. So you weren't playing in the impromptu ensembles that the kids would do? No. All my friends did, though. I was focused on the recording. So they would come over to the house and you would record them. Yes, often. And the neighbors would complain in the summer because the windows were open. Right. One time the famous child actor Jackie Cooper came over. He was all grown up and loved to play drums. So I recorded his little band. The musicians called him Skippy. As I look back it was awesome. This was before I did real sessions for the record companies. When did you start getting serious musicians to record on your recordings? One friend of mine started to work with bands and he had friends who were musicians, jazz musicians too, and they would come over to my parents' house and have sessions, jam a little bit and I would try to record it. As I understand it as this was building up you actually asked your parents, made arrangements with your parents, to allow much more recording in the house? That developed over time. When I got busier recording neighborhood musicians and then jazz musicians it became an imposition, but they were very tolerant about it. Before my parents built the house in Hackensack, I was boring holes in the walls of our old house for the cables to go through. But when they built the house on Prospect Avenue in Hackensack, the control room was incorporated into the design of the house. They knew how involved I was and incorporated that into the home they designed. How large was that studio? It was a fairly large living room. It was the living room of their house. Fairly high ceiling and there was an alcove in one wall and a hallway going toward the bedrooms and other rooms. It turned out that musicians were very comfortable playing there. Even today when I meet someone who played there they say they have good memories of it. Was there actually a control room? In the Hackensack house they allowed me to have a control room with a big double-paned glass window between the two rooms. Besides those two rooms then, were there any other rooms? That's incredible that your folks were so understanding. I still think it's incredible. They were very tolerant and understanding. They saw that this was so important for you. Clearly you must've shown much promise. Well, to them, I guess so. Indeed. So in this house you were actually bringing in pro situations, these name acts? It was difficult, because that's what really motivated me to build my own studio. Blue Notes' Alfred Lion wanted to record at night. That didn't work out too well — there was some pressure about that. Most of the pro sessions I did in Hackensack were done in the daytime. Actually I don't remember any sessions at night. I might've done a few demos at night in the early days, but that was it. So you would be finished by five or six? Yes. At that time sessions weren't as long as they are now. The requirements with regard to the amount of music that had to be recorded weren't nearly as demanding as they are now. When it got to be a commercial date, for a label, they only had to record 15 or 20 minutes of music per session. In the Hackensack studio, how old were you around then? I was in college before the Hackensack building was completed. During the time I was in college, the Hackensack house was under construction. By the time that was finished I had graduated from college. How many records do you think you accomplished in that studio? Too many to count. Comparing the years that I spent there to the time spent in the studio here now, it was a relatively short time. There was a lot less time spent recording in Hackensack than here. So do you think that would encompass two to four years? A little more than that. Probably eight or nine years there. Do you know how many sessions a week you were doing in the Hackensack house, when things were really humming along? Well, there was a time I had an Optometric practice going, so I could really only record two days a week. If I were to look in my book at those days, I was routinely doing two sessions a day. So if I did nothing else, the maximum would be like four sessions a week I could do. But remember a session was about three hours. And you were saying that you realized that you needed to record in the evening and you wanted more space. For larger bands. That was a big pressure on me. They wanted to get you with 22-, 24- piece bands? Yes. Some of the later sessions were like ten-piece, and that was pushing it a little bit for Hackensack. I had gotten Gil Evans there, which I just wish I could have been able to do here. That was the pressure. And of course I had to formulate in my own mind what kind of studio I wanted to build. It was just the opposite of Hackensack. In Hackensack the control room was an incidental part of the building. It was primarily a residence. Now I was planning a building that was primarily a studio with a residence being incidental. It was just the opposite. When you decided on the Englewood Cliffs house/recording studio, what was your thinking about the aesthetic and overall functionality of it? That was a lucky series of events. I was also married at this time and I had my wife, Elva, and we were planning a life for the two of us. This would be our home. That was part of the equation, too. And of course, limited funds for what I could build as opposed to what I wanted to build. So my wife read an article in the New York Times about a Frank Lloyd Wright exhibition in New York City in one of the museums where they reproduced one of the Wright houses. We saw pictures in the paper and she went to meet the people who built it for them. There were a lot of Wrightian principles, his concept of what architecture should be, that fit in with our thinking. They seemed to define what we were looking for. Without going into many details, it was a masonry construction of the studio, the shape of the studio, and also the fact that if we were to adhere to his concepts without using him as a designer by going to one of his apprentices instead, I could actually afford to do it and complete it. Otherwise I might get drawings, which are works of art but I couldn't afford to build. So that was my thinking at that time and that's what I did. And there are some aspects of the design that I could point out to you. Who was the man that designed the building? It's so quiet in here and there's definitely a highway a few miles away. There's a highway 200 feet from here, but the building is surrounded by many small trees. They're great at sound absorption. Airplanes are sometimes a problem, not too much, luckily. I didn't want to expand it to a big studio requiring a large staff. I really didn't want to do that. I wanted to stay small, which of course is inherently limiting to what I could do. I wanted to have one studio and one control room and also one operator. It was that way for many years — one engineer. But now I have an assistant and she's the only one I ever had associated with recording sessions. She's been with me since 1989. Her name is Maureen Sickler. She first worked with me on the CTI Dizzy Gillespie movie, Rhythm Stick. We work together now. She has survived many bass solos. [laughing] Her session notes are works of art, and I'm claiming for her the title of world's greatest tape op. All these years you engineered and produced all the records single handedly? Engineered, yes — produced, no. The labels did the producing. I never hired the musicians. I'm an engineer, not a producer. I've never hired a musician in my life. It's the record labels that do the producing. I also do the masters, by the way. That's another part of my work. [What led you to] add mastering as a service? Well, I long ago realized that in order to achieve what you and your clients want from the mixing, you should also do the mastering, otherwise things can get murky. I'm speaking only for myself now. This is what works for me. Did you have to design some of the equipment for that? I think the only things available back then were disc cutters from Neumann. Well, I can show you. There's also a lathe that's called a Scully lathe. I used the Scully all during the LP years for the mastering. I enjoyed cutting LP masters, but I was also glad to see it go. Preparing a master for the light beam recorder at the CD plant is a lot better than sending a lacquer master to a former swimming pool in the Bronx for electroplating, and then having someone drop a screwdriver on it. But I just don't feel that I should sit here and do the hard part that is sessions, recording, mixing, editing and whatever else is involved, and then turn the whole thing over to someone else to do the masters. It just doesn't make sense to me. Mastering is a critical step. What were your considerations for mastering? Well, I had the same considerations then as now. That hasn't changed. How is this going to sound on the radio? In the very early days (perhaps you don't recall) it was all mono. The term "sounds like AM radio". Have you heard that expression? Right, that's quaint and antiquated now, actually. But that's what the musicians heard up to the '60s. And the producers, that's all they knew. So when they were recording and judging, and mixing the balance and the overall sound, they were hearing all their stuff in mono. A lot of the musicians didn't care about the whole recording end of it anyway. They just played the music and let someone else think about that. But the producers were really mono oriented on all of those sessions. Were you able to take some of your mixes and play them in a car? We used to do that in quite elaborate ways. To do it now is very simple. Burn a ref and put it in the car. I remember thinking before CDs, "How can we do that?" I actually built a little RF transmitter. We would broadcast on the AM band out to the car and hear it that way. There was always pressure to do that. Your ham radio days came right back. It sounds funny doesn't it? Can you name some of the labels that you were recording for? Sure. All of them. [laughter] No, seriously, most of the jazz labels that were out there: Blue Note, Prestige, Savoy, Atlantic, a couple of things from Riverside and Vox Classical. You name the labels. Not the majors. No major labels. I would've asked for you. "Let's get that guy." I doubt if anyone at the big companies was aware of what was going on. There was nobody there to say, "Oh, what a sound that is, let's go to that guy." That's not the way it was. If you signed with a major company their own engineers recorded you. That went on for a long time. Also in the early days of Columbia, RCA and Decca there was a strong union situation. Not only did they build their own equipment, they dictated how many engineers were in the control room. If the management wanted to record elsewhere, they required at least one union engineer to be present. You had to have one extra person as tape op, if you'll forgive the expression. The other guy was the mixer. That's so funny... It's so apparent how audiophilic and pleasant your recordings are. Even in those days, nobody was recognizing that. No. In the early times they didn't even put an engineer's name on a record. The first time that ever happened I had recorded a few things for the pianist Lenny Tristano. He put my name on the label as an engineer and I don't think that had ever happened before. Bob Thiele used to kid me about that. He would say, "Rudy, you know in Europe engineers wear white coats." Really. That was in the '50s? Yes. Even in the sixties I did some things that don't have my name on them. The Ray Charles album, Genius + Soul = Jazz that I did for Creed Taylor, had no engineering credits. When you had the studio and stuff, did you ever do any scouting for the labels? Through the years I've gotten a lot of phone calls from people who think that I have some influence in that way. No, I like to stay clear of all that kind of activity. That's the last thing in the world labels want to hear from me are suggestions about who to record. I'm an engineer. I'm not a producer, not a promoter. A lot of people start as engineers and end up as producers. Tom Dowd did more producing than engineering eventually. I'm very content to stay an engineer. The jazz era was at one point considered kind of, if you will, almost like a dangerous profession. I mean the lifestyles of the musicians. I was never a part of that. I isolated myself from their personal life. Their personal life was none of my business as long as they were okay when they came over here to the studio. How did you meet Bob Thiele and Alfred Lion? Alfred Lion began my continuity with a record company, rather than doing a session here and there. I had recorded a band for a small label owned by Gus Stateris. He had recorded a baritone saxophone player and arranger named Gil Melle. I wasn't present when this happened, but Alfred Lion purchased the 10" LP of this band and released it on the Blue Note label. It was successful. So the time came when Alfred wanted to do another session. Up until that time, Alfred had been recording at a radio station studio in New York City. WOR maintained a commercial recording studio in addition to the radio station. Alfred went to the engineer who had been working for him, making all the Blue Note albums up until that time and said, "We'd like to make another one, here's the LP. We need to do another session and we want it to sound like this." So he played it for the engineer. The engineer listened to it and he says, "Gee, I don't think I can get that sound. You better go to the guy that made it." And that's exactly what he did. He came to me. Told me what he wanted to do and that started it all. I recorded for him right through to the end. Alfred was the first, then Prestige followed. Savoy followed. I can't really think of them all for the moment. Many records. Labels seem to come and go. Let's talk about the musicians and stuff. Which situations of people and recording stand out? People-wise, I guess it was Duke Ellington and Count Basie. In my youth they were giants. Just to have them in my studio was a thrill. I still remember it clearly. Not as a recording engineer, but hearing their music as a kid and then having them record here. Recording-wise, of course, it was Alfred Lion and Francis Wolff, with Art Blakey, Horace Silver, Wynton Kelly, Lou Donaldson, Lee Morgan, Herbie Hancock, Jimmy Smith, Elmo Hope. Those are individual musicians among dozens at that time. That would be the Blue Note scene. And then the Prestige artists would include Miles Davis, Red Garland, Gene Ammons, Arthur Taylor, and Esmond Edwards' productions of Coleman Hawkins, Kenny Burrell, King Curtis, Sonny Rollins, and Eric Dolphy. They can literally fill a book. The Miles Davis and Red Garland albums I made for Prestige were done in Hackensack. And of course John Coltrane in Hackensack and Englewood Cliffs, Duke Ellington produced by Bob Thiele, Count Basie, Quincy Jones' Walkin' In Space produced by Creed Taylor, Wes Montgomery, Stan Getz and Astrud Gilberto's Getz Au Go Go. Also, Walter Wanderly's "Summer Samba", Antonio Carlos Jobim's "Wave", Bill Evans with Symphony Orchestra, Gil Evans' Out Of The Cool, Deodato's 2001, Grover Washington, Jr.'s Mister Magic, Ray Charles' "One Mint Julep" and "Outskirts Of Town", Paul Desmond, and Chet Baker's "She Was Too Good to Me". Do you have any anecdotes or funny stories that happened? Well, it's not exactly a funny story, but it gives an insight into Monk's personality. There was the scene between Monk and Miles in Hackensack. Incomplete versions of this have been told. I'm going to try to give you more details about it. Are you aware of the tension between Monk and Miles? It really wasn't a blow-up, just a simple incident. They began rehearsing the tune and I was in the control room checking everything out. While they were still in rehearsal mode, I went into the studio to make some adjustments. Monk came over to me and said, "Don't turn me down behind the trumpet solo." I said, "Okay." They continued to rehearse the tune. Apparently, after Monk had asked me not to turn him down during the trumpet solo, Miles told him not to play at all during the trumpet solo. I had in my mind what Monk had asked me to do, but Miles had told him to lay out entirely. I wasn't aware of that. So they started the take. I rolled the tape. Miles was playing with that mute he used to use and he was hunched over down low sitting in a chair pointing his trumpet down at the floor. During the trumpet solo, Monk stood up. Monk was a big guy — he was tall. So he stood up and looked down on Miles. He stood up, left the piano, and was towering over Miles as Miles was playing. I was ready not to turn him down during Miles' solo, and there he was standing up not even playing. After the take, Miles asked Monk what was he doing. So Monk says, "I don't have to sit down to lay out." [laughing] And that's what happened. Monk did what Miles asked him to do. He stopped playing behind his solo, but did it in his own way, aggressively. I think Monk was planning something he wanted to play during the solo, and Miles had short-circuited his plan. This is the first time I've been able to tell this story in its entirety. Did you know any of your contemporaries like Tom Dowd? I knew Tom. He was a great guy — I liked him. I don't remember which one, but they did two projects for Atlantic Records in Hackensack, produced by Ahmet Ertegun. A pianist by the name of Cy Walter, the other was Phineas Newborn. Ahmet introduced me to Tom Dowd. During that time period mono was king. I had not received my 2-track Ampex yet, so what Tom did while I was recording the mono, he recorded it in stereo on a Magnacord. Magnacord was one of the first available 2-track tape recorders, so Tom came out and did the stereo and I did the mono. Is this in the same session? Yes. He was running it parallel. Fascinating, because you usually don't work with others. No, but this was an exception. With Tom it's a different story. Having him there was just fun. My recollection of that session was that we were like in two different places. The only thing in common was the music happening. He did his thing and I did mine. There was no interplay between us. What I've heard of him was that he was always on the cutting edge of multi-track. Yes, he got one of the first 8-track machines from Ampex. Have you spoken with Les Paul? Yes. I was on stage with him just last month at a convention in New York but the environment did not lend itself to conversation. You know, we are related by console. Someone built a console for him for his 8-track recording studio and the same person built one for me. There was the third for a studio in New York. It was my first custom-made console from someone else. It was not a company, it was an individual by the name of Rein Narma. He built three consoles in his home in Bergenfield, New Jersey. He went on to become a vice-president of Ampex. How many channels could you work with that? I can't remember, but it must've been at least eight because Les Paul had an eight channel. The outstanding characteristic about it, besides the huge wood enclosure, the level controls were rotary. That was before the days of sliding faders. Is this in the early '60s? Yes, very early sixties. 1960. And did you anticipate with that mixer for your requirements, stereo at that point? No, not in the beginning. It was designed for stereo. It had other faults, which I really regret. Certain characteristics were built into the console. I don't think I should go into it. Les Paul got that, you got that. Do you remember who the third one went to? There was a studio in New York, I think it was called Gotham. I'm not sure about that. I imagine you must've commissioned a few more boards after that. I went from that one to a commercially available one, which happened to be the best one in the world. But I'm not sure if this is the platform for me to talk about it in terms of the manufacturer. It was the first of two consoles. The first version of what I have now. So you have the same console. So if you wanted to go back? No, I don't have that same console. I have a console by the same manufacturer. But that's an analog console. I also have a digital console. I have both here. So you do have digital? What do you think about the transition succinctly from tube to solid state to now digital and computer recording? Well, I've been onboard for all of that. That's part of my pleasure and enjoyment, to be able to use each of these different advances. I find nothing negative about any of those advances. I enjoy using current professionally implemented recording equipment. I don't want to go back to tape. I don't want to go back to tubes. I don't want edit with a razor blade. I like an analog console for tracking, but if you can get behind a well-designed digital console you can take mixing to a new level, I prefer to do that. For mastering did you go into the Sony PCM? Sure, I still have it out there. Nobody wants it anymore. It's a 1630. I've made many CD's with that. I abandoned it a while ago. Were any digital converters custom made for you? No, by that time custom building for me was impossible. I just had to urge the [equipment] representatives to let me know what's happening and available. That's what I do now. Did you have a need to modify any of your equipment? No, just the people who make it. I'd like to modify the people who write sloppy code. If I could do anything, that's what I'd like to do. [laughing] What I meant was did you have to modify any of the components to make it more audiophilic than what they handed you? Usually my needs and wants are not related to the audiophile arena. I've been focused all these years on the musician. I deal with musicians' requests. This is not loop-based production. Luckily I haven't had to deal with that. My needs are dictated by what the musicians want to do. They are interested in their own sound. I select components that facilitate that. That's what's happening. It's almost a challenge now to get people to play in a room all together. About ten years ago, there were still some who wanted to do that but they still asked for headphones. So you have all the musicians out in the room? In the beginning, in the early days, yes. Currently, the musicians themselves want to be able to fix anything that they play. That seems to be the key to how the techniques evolved. They want headphones. Musicians want to have a second chance, or a third, or a fourth, or a fifth chance to play a solo, for example. The headphone mix rules. Do you blame them? I remember sessions in the '70s when there were a lot of people in the studio at once. There would be a line of musicians at the control room door waiting to do their little overdub to fix something. You managed to get so much isolation, even in your earliest recordings. Well, for me isolation was what I needed for that moment. The isolation I tried to achieve at that time was related to what the music was like. Recording what's left of acoustic music has evolved into something other than ensemble playing. When multitrack first became available I thought, "Wow, this is just great." I didn't have to do a perfect mix on a session — I could do it later. But what happened is that the musicians quickly caught on to all of that. In the early days they were playing for the moment. Soon they also realized that they didn't have to try for perfection at the session. They could do it over and that's where we are now. The earliest recordings had none of that. They made a couple of takes and chose the good one later. This does not mean I wish to go back to those days. Today, calling a recording session a "tracking date" says it all. That's acoustic music I'm talking about. I'm not speaking about any other form. Isolation needed some refining while working with CTI in the early '70s. Creed Taylor created the motivation for increased isolation. That started back in the days of Bethlehem, there was a label called Bethlehem. That's when I first began to work for Creed. Then, of course, on Impulse, then MGM/Verve. And the other one out in California, A&M. When Creed went to the A&M label, he did Wes Montgomery, Jimmy Smith and others. At that point there were no booths in the studio, it was just a big space like a nice sounding hall. But then the requirements to be able to overdub parts became essential. One section coming in and then another, that dictated the necessity of headphones. Once they were into headphones it became possible to change anything by isolating the individual musicians from the rest of the band. Well I tried it with screens, but that never really worked right. So I said to myself, I give up, let's just build a room. So I started out with a room. We were recording Astrud Gilberto. She had a very, very, small voice within the music. We had to isolate her from the rest of the band so I built a room for a vocal booth. First it was one booth, then we needed another one, and another one and now we have five. As far as your designs, did you bring in an acoustician? No. I had decided and had a concept of what the size and shape of the building should be. I knew what I wanted. I felt I had good command of that without reducing it to mathematics, but I knew what sounded right. I thought, since I was controlling everything I figured I might as well go for it. Build a new building, not a room within an existing building with the materials I felt it should be built with. And then if I have to treat it inside then I can do that later as another step. I had a backup in my mind, so that if it didn't work out sound-wise then I could do something about it. But I really wanted a certain shape and a certain size. No, I didn't. I was kind of loose about that. It's pretty good, and it could be better. But there's a limit to the size I could afford. It's easy to soundproof a small room but soundproofing a big room takes some serious compromising. I didn't make a big issue of that. There's none of the usual accepted practices for soundproofing. I was more interested in what the place sounded like. If I needed to do soundproofing then I could do it. Did you go to places like Carnegie Hall and build up your own experiences of how things should sound? Symphony Hall in Boston was one place I recorded in. In New York City in rooms nobody's heard of. I did a few remotes in New York. I love to be in places that sound good to me. Even if I'm not recording, little noises sound great in good rooms. Do you know what I mean by remote location recording? There were some halls in New York that I really liked. I made a lot of records that way. During the time of transition from Hackensack to here it became necessary to record in New York at night and do them as remotes. For your remote recordings did you just move pieces of gear? For that I had someone build something special. This was before the era of remote trucks. If it's just a five-piece band, I don't need a truck for that. Besides, there were no trucks. I didn't want to get into that end of the business. So I just had a little portable mixer built, and I used to sit right in the room where the audience was, monitoring with a pair of headphones, and recorded the band playing in the club. That's the way I did my remotes. Was it Birdland, for example? Oh, sure. The downside of that as far as the owners were concerned was that they didn't like the idea of me sitting at the table taking up some of their revenue. I said to them, "In order to record here I need to be at this table." Every time I went to a club there was some kind of mild conflict. When I first went into the Vanguard they wanted to put me in the kitchen. At the Vanguard I ended up on the right side of the room there like anybody else watching the show — it was really nice. At other places like Birdland, it was pretty much the same. How many channels could you take on a date? If you are talking about input channels. I started with four and I ended up with 24. I have a 24-track mixer I can pick up and bring to scene. I recorded Tommy Flanagan at the Vanguard with 24 input channels. I still have that console. That was custom made for you? Modified from an English console. Definitely not used as is. Unusable the way it was for remotes. I changed it. Did you bring that indoors? It's that small. Well, it's not small. Twenty-four faders, you know how big that is. You have to have someone lug it for you. Run into the kitchen, ask for some help. No. But I did hire somebody one time when I went to Newark to record the Charlie Earland band — the organ player. One of the tunes was "Black Talk". The organ sessions were popular for a long time. It was always difficult to do the organ as a remote. All your recordings have stood the test of time. I find that they have better fidelity than modern recordings. You must've been aware of this, but how did approach the noise floor? How did you go around it? You mean the floor where the band was playing? Of the machines, the equipment. Well. [laughing] A little joke there. As I think about that aspect of it I really didn't do too well in the beginning. The beginning days of tape were really pitiful with respect to the noise. I just had to make sacrifices and choose between one weakness and another. During that time period I also worked for a classical company called Vox Records. That whole culture was different from jazz music. There you really had to do something about the noise. That's what provided the motivation for Dolby noise reduction. As I look back to that time and listen to some things from those days they sound pretty good if they are properly mastered. Of course with the advent of digital that whole question has disappeared. Oh yeah. In my mind I'm thinking about some of the historic records you've made. There are so many of them and they just sound remarkable. I don't hear any noise. In the fifties, I bought an Ampex 300. I complained about the noise. They sent a guy from Altec Service Company. It was a spin-off of Western Electric. They serviced movie theaters all over the country. Ampex used them for tech support. He kept referring to the tape as "film" and I got a little suspicious. He said, "They just came out with a new head design." I said, "I just bought this." So Ampex replaced it with another new machine. I used it for years. I made some of the records you are referring to with it. Years later Western Electric became Westrex and developed the first stereo cutter head in this country for making stereo LPs. You were just using such great equipment, the good microphones. Microphones improved a huge, rapid step with the advent of the U47. It's still hard to beat. How do you feel about the progress of microphones? I don't think really there's been much progress since the U47 and the Shure 545. What has happened? There's transformerless and there's DC coupled. They've removed more from the signal chain actually. There's less components inside, I believe. That's what I'm trying to say. If anything that's progress. Maybe. When the U47 first came out it was almost impossible to use. It was really terrible. Mainly because the preamplifiers we had in this country were designed for microphones like RCA 44 and 77. In Europe, where the U47 was designed, the preamps were built by the same company that built the microphones. So what did we do? We tried to modify the microphone. Not a good idea. Those were attempts, failed attempts, to make that microphone sound better. The problem was not with the microphone but with the following amplifiers in the chain. It had a higher output level compared to any other microphone and the US preamplifiers of that time could not handle that. Also the loading was critical. Something had to change. There were a number of those microphones where they took out the VF14 and substituted a Nuvistor. This was supposed to smooth out the high frequency rise. Another not-so- good idea. Most of this is common knowledge now, but then it was a huge mystery. I had the second U47 in the US. It was imported by a guy who worked for the Armed Forces Radio in Europe, before Gotham Audio got control of it. I can't remember his name. The first one went to Reeves Sound, a film studio in New York. That's where I first saw it. So basically taking the stuff from Europe and bringing it into the US? That's what they did. There was nobody to see the big picture at that time. Eventually it must've gotten ironed out. Yes, well, I guess it was. 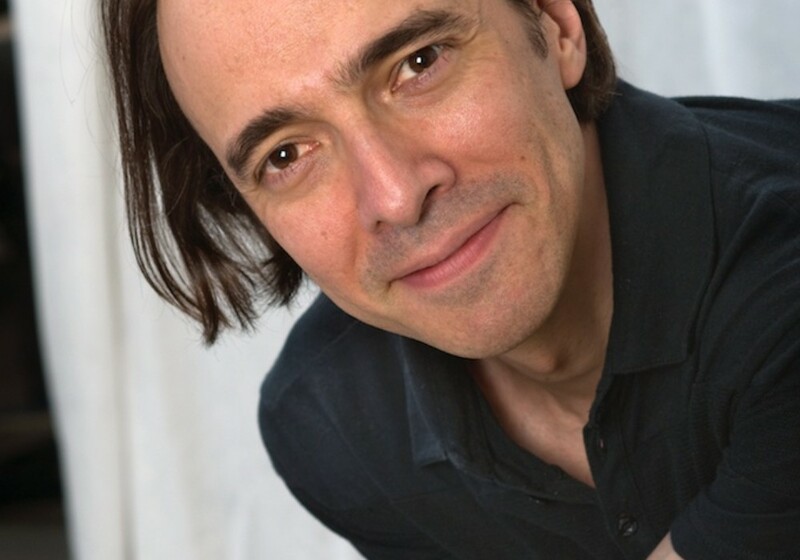 Steve Temmer at Gotham was the one who supported that whole effort to make it better. Starting by modifying the mic itself and then by trying to sell the preamps. You know, it depends on the music you want to record. If you're recording a classical orchestra a couple of Neumann M50s hung up in front is still the ultimate microphone. The fact you're having difficulty in defining the improvements indicates nothing is clear-cut. There are microphones I have had for years and years and years. I still use them. I don't feel that there's a disadvantage to using those microphones if they're still working. You are extremely influential, particularly in rock 'n' roll. Really? Someone else had mentioned that too. I'm so curious to ask about how you might approach recording drums. It's gotten so complicated with 27 mics on a traps set. Oh, sure. Someone else was talking about that in a magazine — 70 microphones on the drums. Yeah, you can get lost in that if you just listen to the drummer. [laughing] I've gone through various phases with that. During the '70s I went one way. I didn't like what was happening at all, and I backed off from that and then things really got good. I don't want to be too specific, but that's what actually happened concerning the drums. There were things in the '70s I did not like. The request of the clients, the way the drummers were playing, and the kind of kits they would bring in. It got to be out of control. I just sort of backed away from it. The RVG series. Lately, I have been engaged in remastering all the albums I did for Alfred Lion at Blue Note Records with new 24-bit transfers. In 1998, Mr. Hiroshi Namekata, head of Toshiba-EMI Japan, knowing that I was the engineer on the original Blue Note sessions, requested that I should master them for CD for the first time. They would release them as limited editions. I completed 250 albums with new 24 bit transfers, and they were released in Japan. At the same time, selected titles were also issued in the US. In 2003, I did another 100 albums for Japan, in memory of Alfred Lion, as limited editions. Selected titles were also released in the US. Today in 2004, Michael Cuscuna is preparing to issue more titles in the US RVG series. I have also been doing sessions. I've been doing some surround mixes and I think the results are incredible. Surround imparts a musical envelopment you cannot get from stereo. I'm not talking about the movie mixes. I'm talking about building a surround playback system with full range speakers all around for music. Five full range speakers. And then mix for that. I'm not talking about so-called satellite speakers with a sub woofer, or whatever they use now in home surround systems. Would you want your stereo system to have a big bass speaker on the left and a small high frequency speaker on the right? If you listen to the type of music I've been involved with on a system that I've described, five full range speakers all around, it should sound far better than any stereo system. For example, when the music is very dense, very busy, a lot of things happening at the same time, certain instruments in the same range like piano, and guitar chords with the bass cover each other. If you can mix that in such a way that each player has their own position in space, it's beautiful and actually easier to mix. It's a natural way to hear jazz music. I'm talking about five-piece bands, maybe six-piece, even quartets. Actually I just finished a re-issue of Joe Henderson called Lush Life which is the first one I did that opened up this new world for me. It sounds like you're very excited about it. Yes, and I have been for the past six or eight months. I guess that means you're going to be doing a lot of that? I wish it did. I don't pick what's going to be recorded. I don't make those decisions. I'm not even party to that. I don't think that'll make a difference in what I record. This is my reaction to the few things that I've been doing. I'd like multitrack to happen and then forget about stereo if we're going to be recording that kind of music. I don't know what the future is for acoustic jazz music. It doesn't seem to be that bright. I'm not speaking commercially now — I'm talking about how I feel about the current technology. They made a surround sound microphone, you know. Have you come across that? Yes, I know about it. It should be great for classical music. Do you have a preference for the Super Audio CD or the DVD for the surround sound for your own listening? I've been mainly exposed to the SACD, that is the DSD recording, and I really like that. It sounds great. You just can't fault that, the recording medium within itself. There are other problems with it other than how it sounds. So you know about the DSD? Sure. I have the latest DSD recorder with the latest software. I think there'll be a new era when that becomes more available. Most people don't even know about it. I've had it here for a while now. I can record to it, mix to it. I've been using it and it just sounds beautiful. But it's not just the SACD, it's the idea of doing surround. No matter how you do it, it should end up in surround. If you play it back on a system I've described, you're not going to be happy with anything else. Here's a nice lengthy playlist of some of Rudy's seminal jazz recordings.